Send somebody a ray of sunshine! Yellow Chrysanthemums and Lilies mixed with golden spray Carnations and Germini. 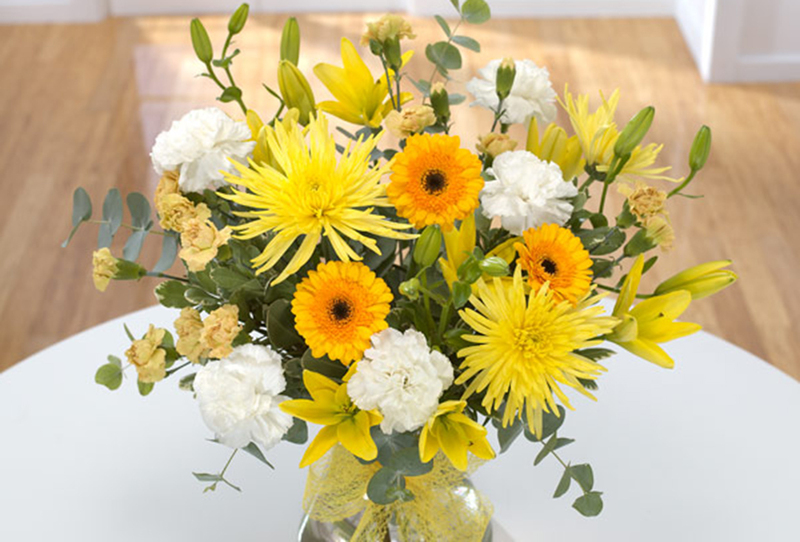 A bright and cheerful arrangement for any occasion.